In her largest, most comprehensive volume to date, North America’s leading authority on grassfed meat examines the conundrum of maintaining a healthy, affordable and ecologically conscious meat-based diet, while simultaneously paying America’s small sustainable farmers a fair price for their food. The core reference for any home cook, Long Way on a Little is packed with Hayes’s signature delicious no-fail recipes for perfect roasts and steaks cooked indoors and out on the grill, easy-to-follow techniques to make use of the less-conventional, inexpensive cuts that often go to waste, tips on stretching a sustainable food budget, and an extensive section on using leftovers and creating soups. 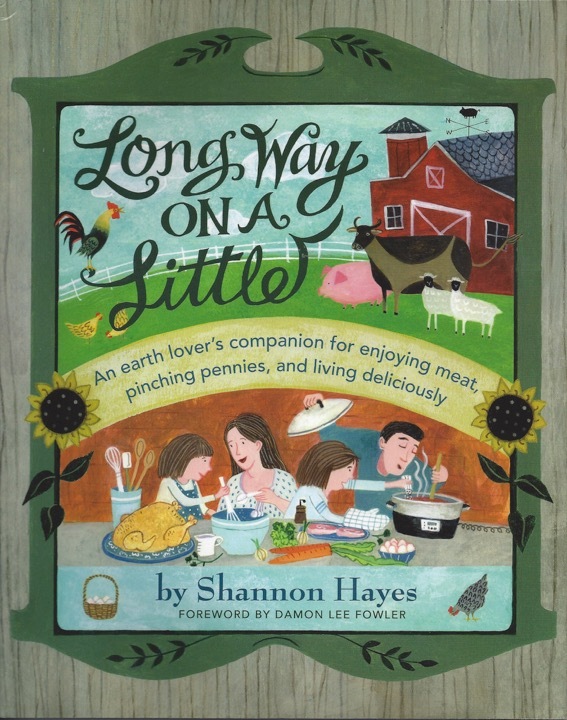 Written with her accessible style and engaging wit, Long Way on a Little not only helps home cooks make the most effective and economical use of their locally raised livestock, it also delivers a practical understanding of the role of livestock in rebuilding a sustainable society. While addressing the topic of making local food more affordable, Hayes also frankly grapples with tough health issues confronting so many Americans today, from diabetes to grain, dairy, and gluten intolerance. The result is family-pleasing, nutrient-dense, affordable cuisine that is a joy to prepare, rich in authentic flavor, and steeped in the wisdom of the world’s greatest culinary traditions. She has served up an illustrative and thought-provoking guide that is as stimulating to the mind as it is to the palate.